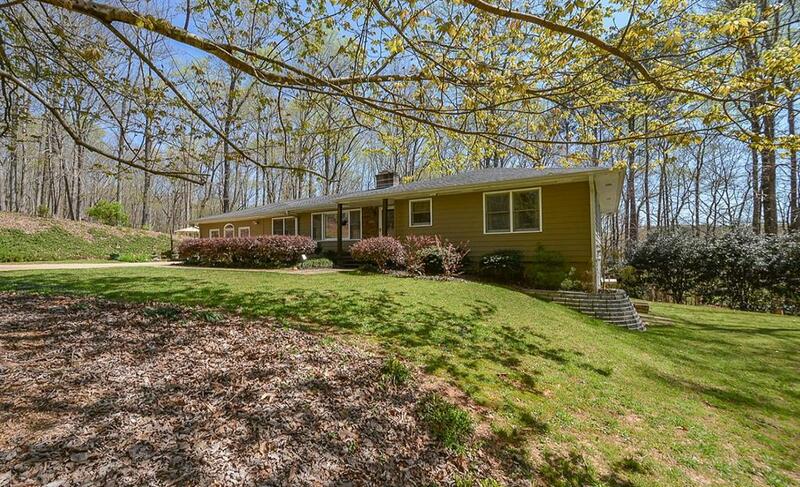 Nestled way off the road on 2.4 acres! 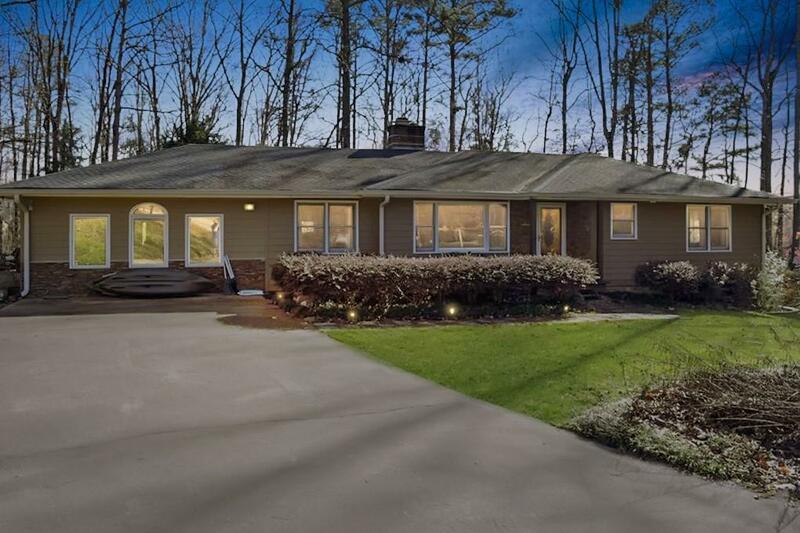 Long driveway leads to delightful RANCH. Chic, modern decor. Updated granite & stainless island kitchen boasts mosaic tile backsplash! Updated baths with new vanities & custom tile wainscoting. Hardwood floors. Weathered wood wainscoting. 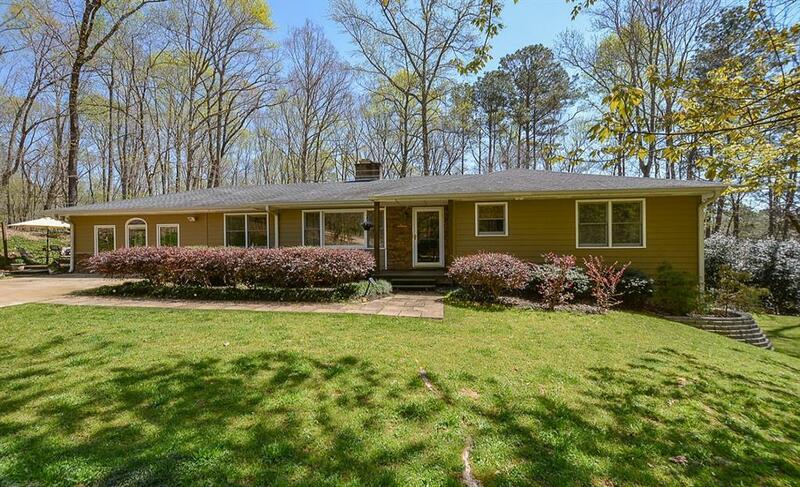 Fireside family room + Sunroom-style flex room! Unwind under the stars on deck overlooking lush landscaping. Ideal for relaxation or entertaining! 14 x 16 Outbuilding. Firepit. 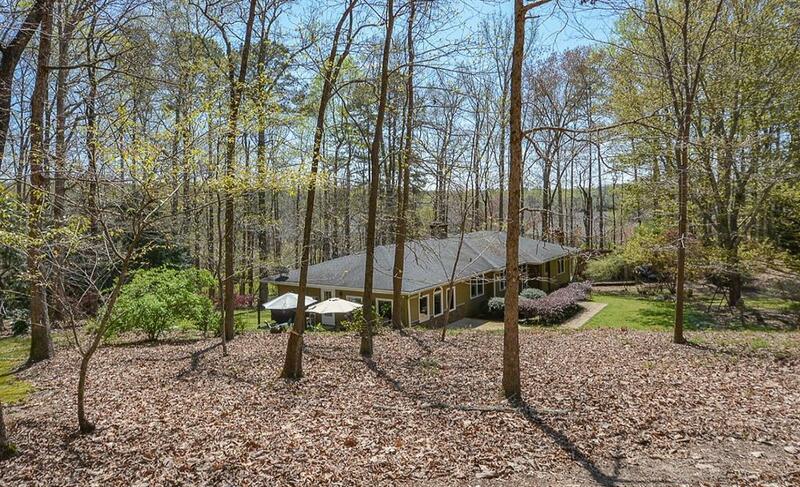 Privacy abounds yet only 2.5 miles from Canton Marketplace & new Northside Hospital. No HOA. Sought-after Creekview HS!